From visiting Stockholm some time ago. 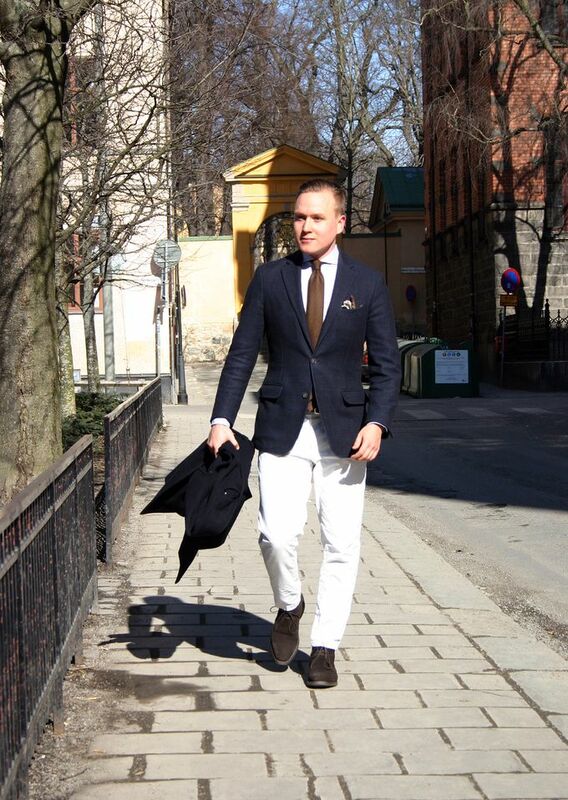 The weather was nice if a bit windy, and I decided to go for white chinos and some brown accessories. 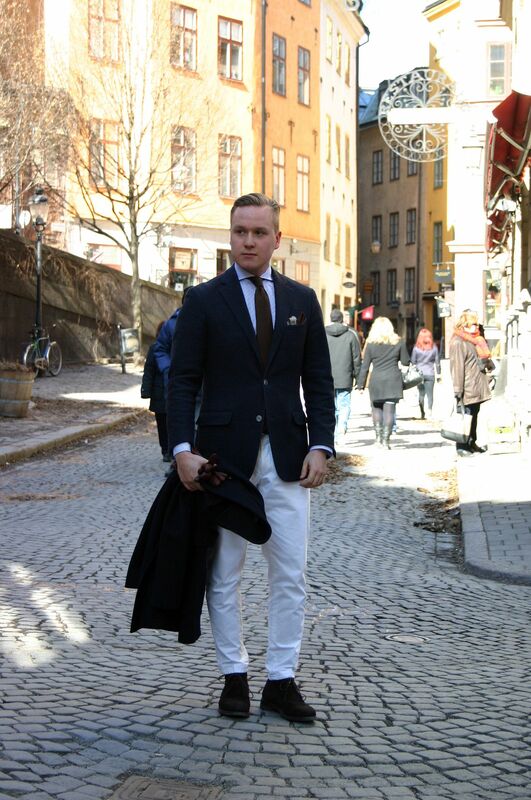 Wearing a SuitSupply navy wool cotton jacket, striped spread collar shirt, 7-fold cashmere herringbone tie, Alden brown suede belt, white chinos, Pantherella light blue with brown and navy dots OTC socks and Loake chukkas. I've used these shoes quite a lot lately, and overall they've served me well. Thumbs up for Loake's 1880. I've always liked wearing brown accessories with navy. 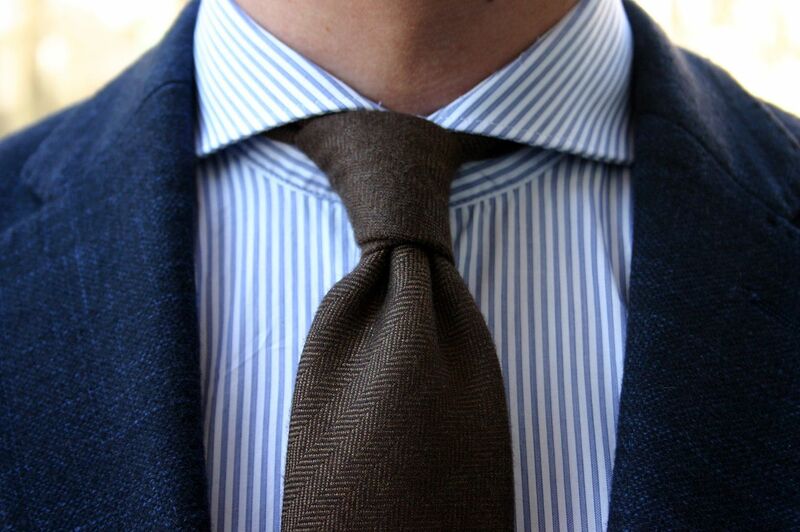 Here I find the tie and the jacket to make exceptionally good friends. 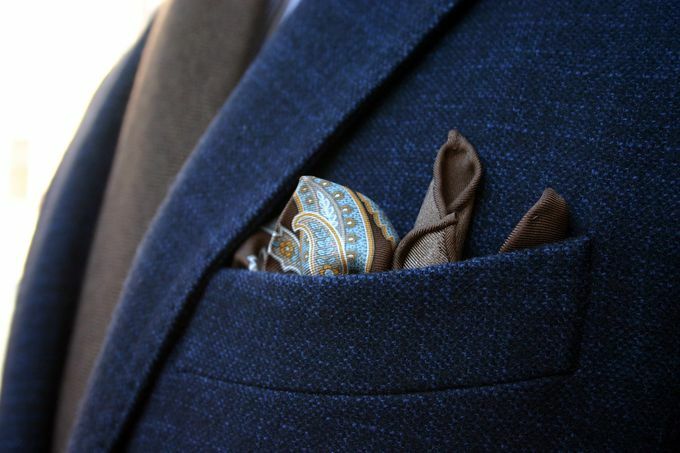 And lastly, a pocket square shot. One of the folds I use the most.